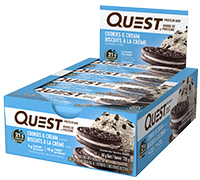 Ingredients: Protein Blend (Milk Protein Isolate, Whey Protein Isolate), Soluble Corn Fiber (Prebiotic Fiber), Erythritol, Water, Unsweetened Chocolate, Cocoa (Processed with Alkali), Natural Flavors, Cocoa Butter, Palm Oil, Sea Salt, Calcium Carbonate, Steviol Glycosides (Stevia). *NOTE: Vanilla Almond Flavour shown. 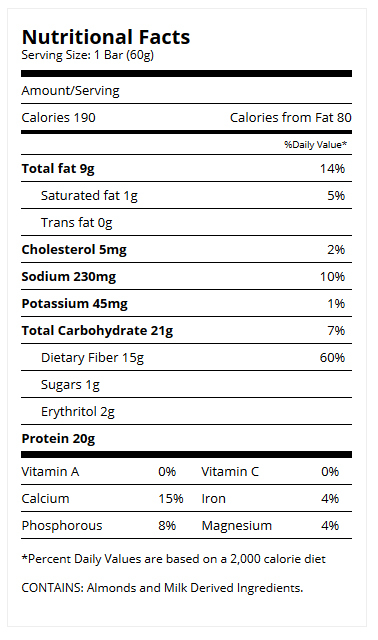 Nutritional information and ingredients may vary from flavour to flavour.